Welcome to the third edition of our Croatian itineraries - this time we are taking you for a trip along one of the most scenic routes in the whole country. 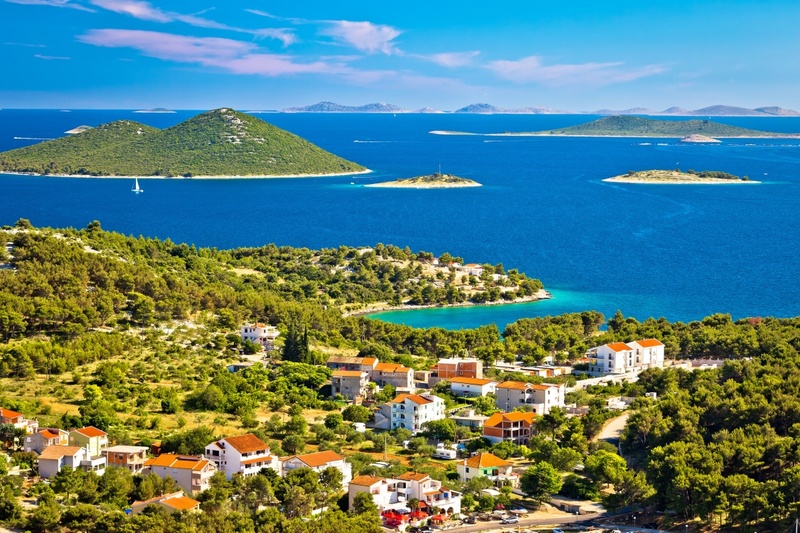 The landmark of this trip is the visit to Kornati National Park and its neighboring islands - a destination that’s worth going to even if you are not that big of a nature fan. Aside from visiting Kornati, you’ll be able to drop your anchor by a few more islands in the region, and enjoy the local cuisine. Let’s start! As we do in every itinerary, we strongly suggest you to explore the city of your departure first, before actually going on board of your yacht. Zadar is full of old cathedrals and churches, that look incredible to these very days. You should definitely check St. Donatus Church, dedicated to St. Anastasia. Nikola Basic’s organ can also be found here - located in the western part of Zadar, it makes music out of the wave’s sound. 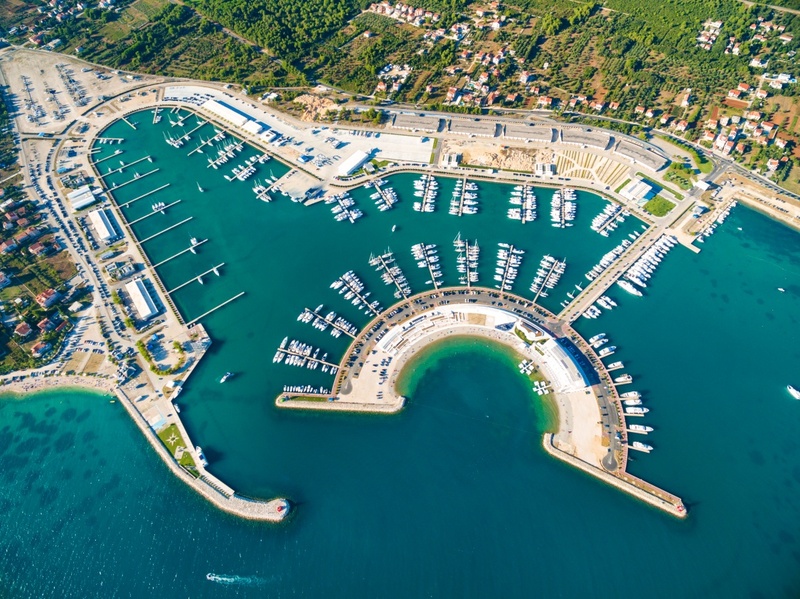 One last thing before you go though - because you are going to Kornati National Park, you better buy your entrance ticket here, while you are still in Zadar. You can do it on the island itself, but finishing all your preparations can save you some time in the future. 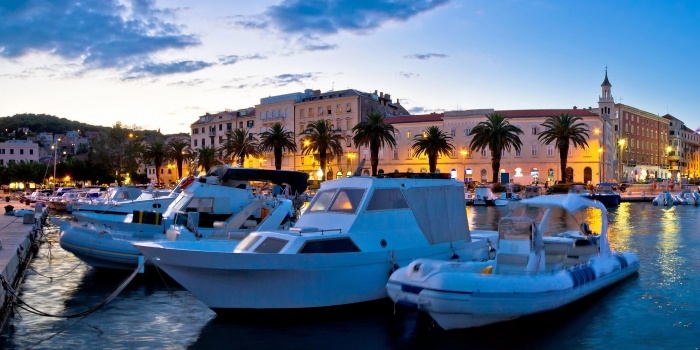 Once done with Zadar, you can board your vessel, and set sail to Vrgada - your next destination. 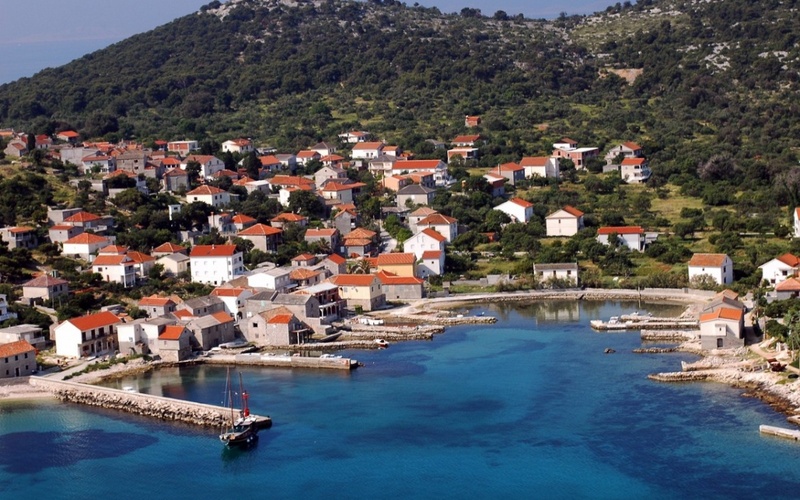 Sali is located just 15 nautical miles from Vrgada. This is the perfect place to just unwind, and spend a perfectly hedonistic day in Croatia. Here you will have a chance to either lie the whole day on the a pristine sandy beach, or feast on the local cuisine in one of the many tavernas on the shoreline. If you are still in the mood to move after all those courses, you can explore the city for a couple of hours, before coming back on board for a good night sleep. First things first - if you didn’t buy the entrance ticket to the park in Zadar, it is time to do it now. There is plenty of space to moor around the main island, so you should not have any problems finding a berth for the next two days. Once you are done with that, be free to start having fun - hit one of the many trails of the park, go snorkeling, or just try to spot the local fauna by staying as silent as you can - there’s plenty to do in Kornati, and that’s exactly why we advise you to stay here for two days. 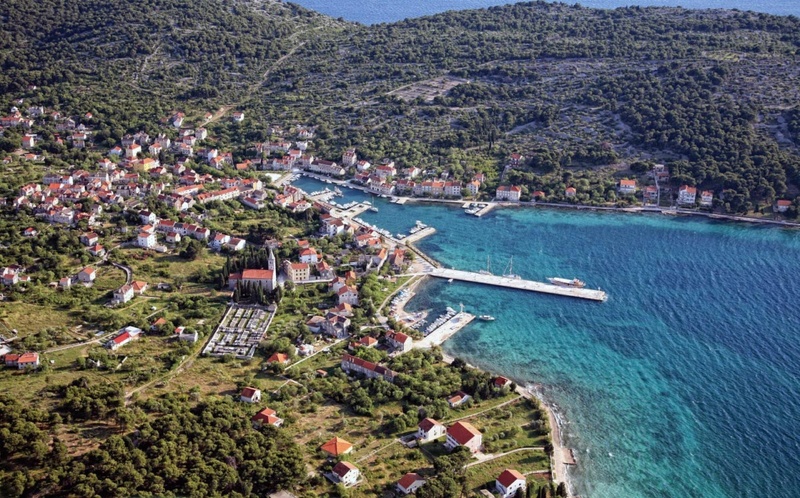 Dedicate the whole fourth day of your journey to exploring this Croatian national treasure. We can’t stress this enough - the whole archipelago consists of many small islands, that you now have a chance to explore on your own and at your own pace. Prepare your snorkeling equipment, as you’ll find yourself urging to take a deep dive into the deep blue water of Kornati. Some islands have tiny family tavernas, that would be glad to welcome you inside, while others have small gift shops, that would not let you go without a souvenir. Being in Kornati National Park is a great chance to experience a one of a kind Croatian sights, that would remain with you long after the trip is over. After two eventful days in Kornati, it’s time to leave for Skradin, lying around 10 nautical miles away. This old town is a key (or rather a gate) to Krka National Park. 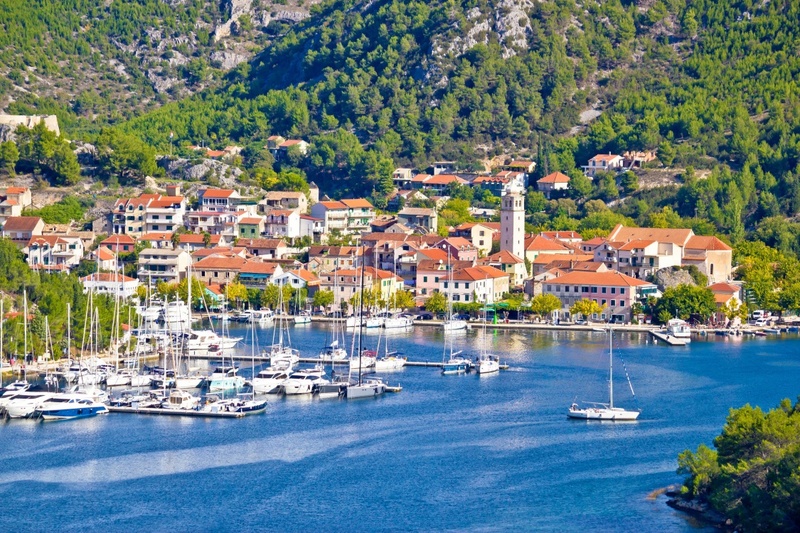 However you should know in advance, that the entrance to the park is closed for private vessels - to get inside, you will have to board a water taxi, that can be found in abundance in Skradin. Once there, admire local waterfalls, that earned this place a reputation of being one of the most beautiful places in whole Croatia. 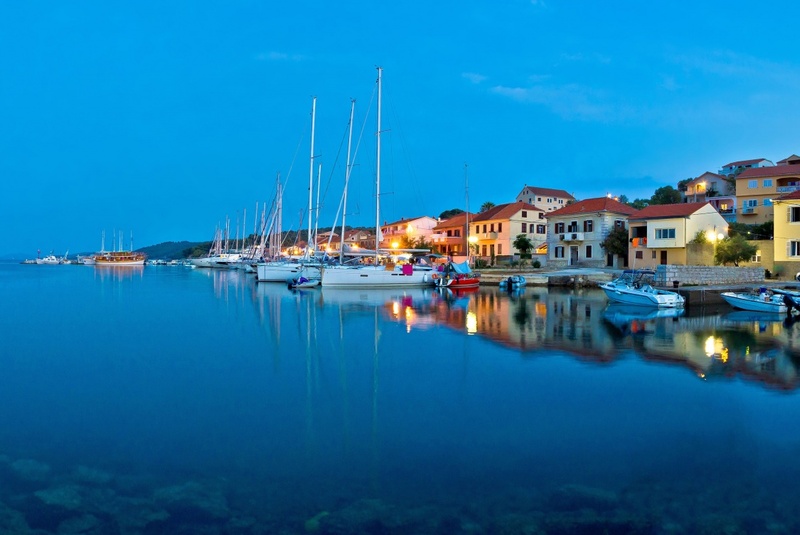 15 nautical miles from Skradin lies the island of Zlarin - a part of Sibenik archipelago. From afar, this place may remind you of Dubrovnik (mostly due to its small houses nestled on a hill), but once you are closer, you will quickly notice one big difference - there is literally no traffic on the island, which creates a remarkable atmosphere on land. The island is surrounded by corals, so all the snorkeling enthusiasts should prepare their equipment in advance. 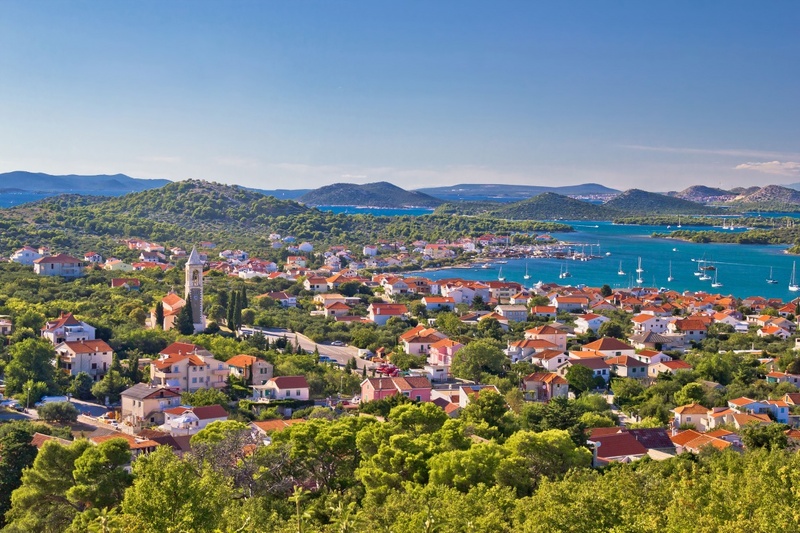 In addition to the complete absence of traffic, Zlarin is covered with green forests and local vineyards, enhancing the overall sense of a fairy tale on the island. It is finally time to go back to Zadar - 32 nautical miles of great sights is guaranteed. On your way back, you will pass plenty of picturesque sights, so keep the camera by your side - the beautiful vistas of Central Dalmatian Coastline are not to be missed. Once in Zadar, you will still have a couple of hours to finish this Croatian trip in style - by having a nice evening meal in a city restaurant, cafe or taverna. You, of course, may decide to extend your visit to the city for a day or two, and we will certainly not blame you for that - as we mentioned in the very beginning of our itinerary, Zadar has plenty ancient landmarks to see, and being bored is not an option here.